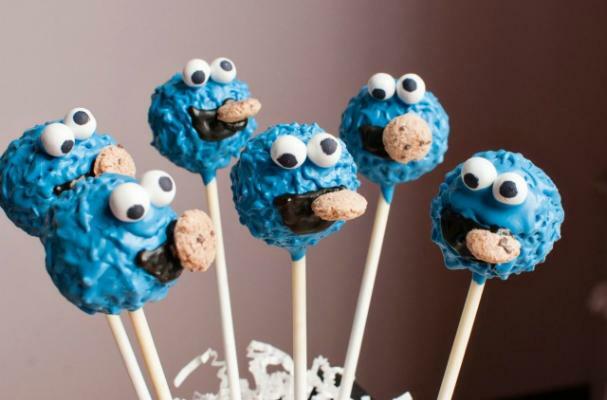 These adorable Cookie Monster Cake Pops were made by Sweet Lauren Cakes in San Francisco. These mini treats bring back a bit of nostalgia with Cookie Monster at his very finest with a tiny little cookie sticking out of his mouth. Sweet Lauren Cakes specializes in themed cake pops and has done everything from a sea theme, football teams and Toy Story.